Understanding money laundering and how to prevent it. 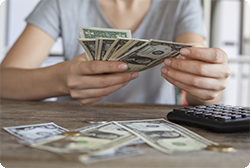 Your employees selling money orders are required to know and comply with Federal laws and regulations to prevent money laundering. This two-module online course explains what money laundering is and the laws that govern the sale of money orders. Employees will learn how to recognize suspicious activity relating to the sale of money orders and to immediately report it.